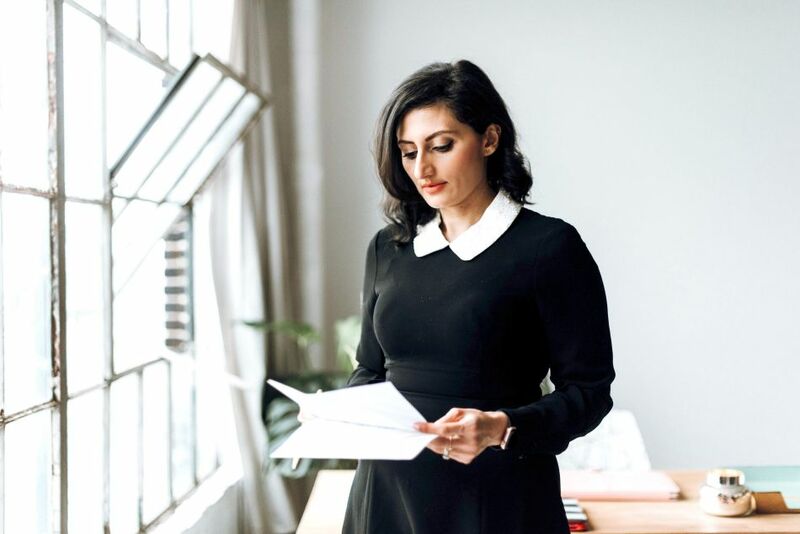 Public relations maven, Reena Goodwin, has been consistently bringing in big names to her consultant agency FACTEUR PR and making waves in the Cleveland scene. Goodwin began her profession wanting to be a music journalist; however, an unexpected path led her to her niche in public relations. Since then, she has made a career working with top tier companies including Rock and Roll Hall of Fame, Def Jam Records and Cleveland’s first music festival InCuya Music Festival. Reena shares what made her want to branch out on her own, balancing work & life, and great tips for readers wishing to create their destiny. Do you remember what you wanted to be when you were 10 years old? At 10 years old I believe I wanted to work in cancer research. For some reason, I read a few books about the field while researching for a science project and was really interested in possibly pursuing a career in that field. That interest didn’t make it to my teen years, where I decided I wanted to be a writer instead. Your career is in public relations, when did you discover this was the path for you? Honestly, I didn’t discover it until I was in it. My degree is in Public Affairs Journalism, and I wanted to be a music journalist and eventually an editor. I landed a job in marketing for Sony Music in college, and I haven’t left the field since! You currently have your own business, FACTEUR PR, when did you decide to take a leap of faith and create your own consulting agency? It had been in the back of my mind for several years before I started FACTEUR that I wanted to launch an agency. I had worked for some of the coolest places, and I began to feel lost about what came next for me without leaving Cleveland. There are so many amazing creative startups here, and I wanted to not just join the team but collaborate with them. It was 2016 that I quietly started the business as a side-hustle, and exactly two years later I was able to go full-time. 1:1, As you were starting out with your business, what was 1 major struggle you had to overcome and what’s been the most rewarding so far? A really attractive part of working for yourself is always going to be flexibility in your schedule. Especially after the birth of my daughter, I dreaded spending my days away from her and really realized that in order to spend more time with her, I needed flexibility – and ultimately, I needed to make FACTEUR my full-time occupation. What I wasn’t prepared for, however, is that now that my schedule is somewhat flexible, I sometimes work bizarre hours. There are evenings where after my husband and daughter go to bed, I head back to my laptop and do more work. I get up at 5 a.m. to workout, and do more work. But when I am with my family, I try to be as present as I can be. (And I kind of have to be, because as soon as Simone sees my phone, she has to have it!) It can be really easy to just work day and night, especially in a field like marketing and PR, because email and social media do not sleep! But us humans do need to. Despite the crazy hours, waking up and doing a job that I not only love but that I got to create for myself and that is actually helping people has been so rewarding. I’ve already met so many brilliant people that are making their dreams come true, and to be part of their story is honestly such an honor. I never take that for granted. You also had a side career as a DJ for 10 years. Were there any comparison with DJing and PR? Without a doubt, my career in PR helped me tremendously as a DJ. I spent just as much time marketing and booking clients as I did actually DJing. PR is so much like sales; you get to know your client’s problems and pitch them solutions. This experience served me well as a DJ, particularly when it came to securing gigs and working closely with clients. And on the dance floor, I always remained super humble and just excited to share music. You have decided to end your DJing career, what do you miss the most about it? If I am being completely honest, at this point I don’t miss too much! I get to spend more time with my family, which was an important factor in my decision to quit. I do absolutely love music, and I can’t express how much happiness it brought me to see people having such a great time on the dance floor. I loved that and will miss just being a small part of what brought people that bit of joy. And what was your go to song to get the party start? I almost always would start the dance party with Motown – The Temptations, Martha Reeves, The Four Tops. You can never go wrong! As many readers are WOC millennials, what are 3 things to be mindful trying to get your foot in the door in PR or/and starting their own business? I would say if you want to start your own business, take the time to do it right. In the beginning it’s exciting to immediately start creating and selling, but setting it up properly from the get-go will help you not just in terms of operations but appearance. Take your business seriously and others will take you seriously. That means everything from your branding to your messaging, marketing, your website, and the behind-the-scenes necessities like getting a tax ID and bank account. And don’t be afraid to seek outside counsel and hire folks to help you. I remember thinking hiring an accountant made me feel like an adult for the first time in my life! It’s OK to ask for help so you can focus on what you do best and what you want to do most. The other business-advice I would suggest is don’t be afraid of taking on friends as clients. My very first job for FACTEUR was a website I did for a friend for $250. She needed help, and I needed to build my portfolio. You have to start somewhere! And finally, if you are interested in PR specifically, I would say really spend some time strengthening your story telling muscle. That often starts with being a good writer. Being able to communicate clearly and creatively will help with story ideation, pitching, event planning, client relations, and more. These skills are pretty essential when it comes to PR. What advice would you give 25 year old Reena? There is a lot of advice I would give 25 year-old Reena, but in terms of professional advice, I would tell her to not just use her voice on paper but to speak up for herself more. I’ve learned over the years that sometimes hard work alone doesn’t get you to where you want to be. You have to have dreams, you have to prepare for risks, and you have to take action. I think I eventually did a decent job of making some of my dreams a reality, but sometimes I do look back and think to myself, “I should have advocated for myself more.” I believe as young women it can be intimidating to do that, but we have to remember at the end of the day, nobody has your best interest in mind more than you do. Last but not least, where did you get your killer fashion sense from? I mean, didn’t one of your gowns end up in the museum at one point? Thank you! Yes, a black chiffon and sequined cape dress I once wore was in a fashion exhibition last year at the Western Reserve Historical Society. I still can’t believe that happened. Honestly, my mom was a huge influence on me growing in many respects including fashion. She was also so stylish and put together. I think that had a lot to do with her upbringing in the Middle East. The fashion there is more opulent than in the States, and she kept a lot of that when she immigrated here. I mean, she raised three small children back-to-back and hardly ever left the house without heels on. My mom has always been more glamorous than I, but if you ever catch me rocking any sparkle, like on my cape dress, her influence is there. Until this day, she is still incredibly elegant and I continue to look up to her. Create Your Own Destiny is a series where professional women who are making huge impacts in their fields, share their experiences and advice with PIML’s readers.